The Center for Advanced Land Management Information Technologies (CALMIT) was established in 1986 by the Board of Regents of the University of Nebraska. CALMIT was founded to significantly enhance and expand research and instructional activities in remote sensing, geographic information systems (GIS), automated cartography and image processing. Remote sensing has long been used as a tool to acquire information about Nebraska's land surface. 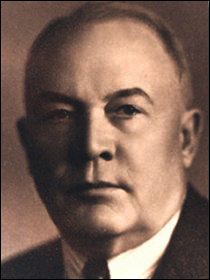 George Condra, first Director of the Conservation and Survey Division, flew a biplane during the 1920s to acquire aerial views of Nebraska on movie film, and black and white aerial photographs were taken over Nebraska during the 1930s (Condra shot the photo of Four Lincoln Standard airplanes along with their pilots and crews shown at the top of this page). The roots of our cutting-edge remote sensing program in Nebraska are planted firmly in the Conservation and Survey Division, a unit of the Institute of Agriculture and Natural Resources, University of Nebraska-Lincoln. 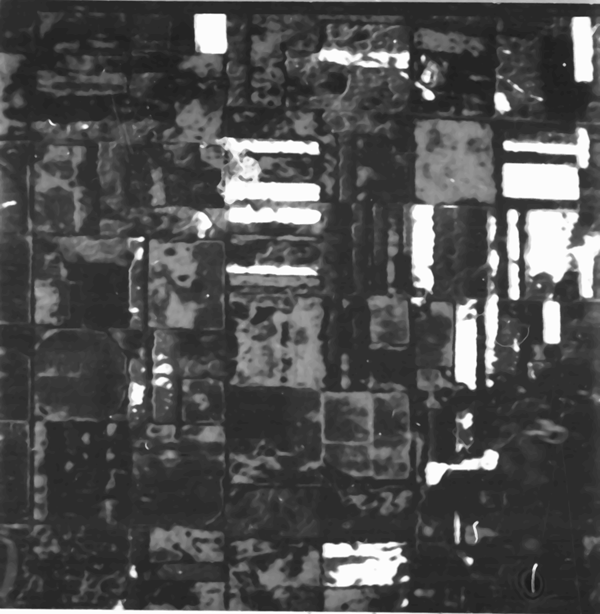 A standalone remote sensing program for Nebraska became a reality through a NASA University Affairs Grant awarded to the University of Nebraska-Lincoln in 1972. 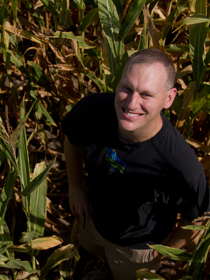 The principal investigators of that grant included Dr. James Drew, Department of Agronomy, and Dr. Marvin Carlson of the Conservation and Survey Division. The funding provided by NASA stimulated formation of the Nebraska Remote Sensing Center, which received official approval by the Board of Regents in 1973, and facilitated the hiring of the first full-time Remote Sensing Coordinator in January 1974. CALMIT was one of the first centers established to use remote sensing technologies, and remains a leader in the field. Richard (Otto) Hoffman (Industrial Engineering) served as Interim Coordinator for remote sensing activities until Rex Peterson, a Geologist, undertook the task of coordinating programs of the Nebraska Remote Sensing Center (NRSC) in early 1974. One of Peterson's first actions was to hire a faculty Research Scientist to assist with Center development and programs. Dr. Paul Seevers, an Agronomist, filled the position. Mr. Donald Buckwalter was also hired in the early 1970s to assist with Center activities, and Bernice Goemann was named NRSC Secretary. Graduate students employed by NRSC in the early years included Dave Maroney (Geology), Tom Burton (Industrial Engineering), and Don Rundquist (Geography). Maroney worked on geological interpretations, Burton was involved in center-pivot inventory, and Rundquist worked primarily on wetland surveys. After completing his residency at University of Nebraska–Lincoln, Rundquist left to accept a faculty position with the Department of Geography-Geology at UN-Omaha, where he founded the Remote Sensing Applications Laboratory, which is still today an integral part of that department. Rundquist initiated instruction in remote sensing at UNO in 1975, and taught the course at least once a year through 1981. 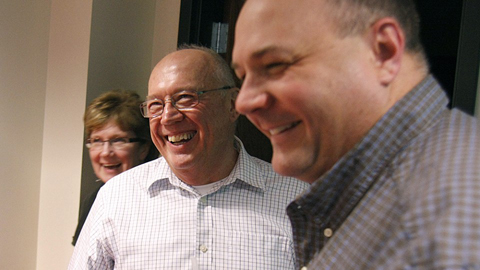 Carlson provided Rundquist with NASA funding for UNO graduate students during those years. University of Nebraska–Lincoln faculty who became involved in remote sensing research sponsored by NRSC and NASA included Don Edwards (Agricultural Engineering), George Nagy (Computer Science), Otto Hoffman (Industrial Engineering), Dave Lewis (Agronomy), and Norm Rosenberg and Blaine Blad (Agricultural Meteorology). Faculty in Agricultural Meteorology developed a research program in remote sensing, which continues to be an important component of departmental programs. The first remote sensing course at University of Nebraska–Lincoln was "Interpretation of Aerial Photography," offered in the Geology Department. Rundquist taught a course, "Map and Air Photo Interpretation," while still a University of Nebraska–Lincoln graduate student. However, the first University of Nebraska–Lincoln course actually carrying the name "Remote Sensing" was taught by Rex Peterson, through two academic departments, Geology and Geography. About the same time, Dr. Mitch Ferrill was teaching "Air Photo Interpretation in Forestry, Fisheries, and Wildlife." His course was cross-listed in one or two other departments. Don Rundquist, UNO, taught remote sensing at University of Nebraska–Lincoln at least once in the late 1970s, at the invitation of Dr. Merlin Lawson, Chair of the Geography Department. Dr. Lee Miller (Ph.D. in Forestry), replaced Rex Peterson as Remote Sensing Coordinator in 1981. Shortly thereafter, Seevers accepted a position with the EROS Data Center, and Buckwalter returned to graduate school at the University of Tennessee. Don Rundquist accepted the position of Research Scientist with NRSC in January of 1982. Miller's early graduate students included Betty Walter-Shea, Young Yang, M.G. Kim, Charles Walthall, and Tom Cheng (all Agronomy). Some of Rundquist's early graduate students included several of his UNO advisees including Scott Samson, Pat Starks, and Lloyd Queen, along with Geography Master's students Peter Budde, John W. Jones, and Lee Pulsifer. Samson and Starks ultimately received Ph.D.s in Agronomy under Drs. Dave Lewis and Blaine Blad, respectively. Queen was Rundquist's first Ph.D. graduate in Geography. Representative projects during those years included development of a field-spectroradiometer program with the prototype Spectron SE-590, cropland identification and classification, wetlands mapping, and center-pivot inventory. A good deal of emphasis was placed by Miller on development of a microcomputer-based image processing system. Miller taught a course in remote sensing, on one or two occasions, again through the Departments of Geology and Geography. Rundquist began teaching remote sensing on a regular basis at University of Nebraska–Lincoln in 1983. Miller left University of Nebraska–Lincoln for private business in 1986. 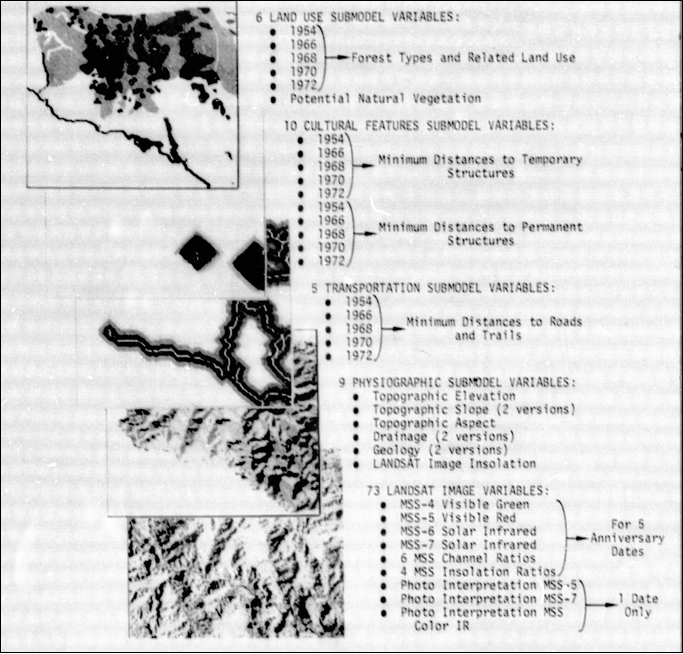 Because of the attention being given to the emerging technologies of geographic information systems, digital image processing, and automated cartography, Rundquist, Carlson, and Dr. Jim Merchant of the University of Kansas began developing an extension of NRSC, which became known as the Center for Advanced Land Management Information Technologies (CALMIT). It was originally conceived of as a regional activity, involving Kansas, Kansas State, UNO, and the EROS Data Center. CALMIT was approved as a University of Nebraska–Lincoln Center by the Board of Regents in October of 1986, with Rundquist as the first Director. Vice-Chancellors John Yost and Roy Arnold played key roles in facilitating CALMIT's approval by the Board, and providing start-up funding. The first location for CALMIT was in Room W328.1 of Nebraska Hall, in space provided by Dr. Doug Gale, Director of the Computing Resources Center. Gale also provided resources for the first CALMIT computing hardware, a VAX 11/730. Yost provided renovation funds. Donn Rodekohr became CALMIT's first Facilities Manager in 1987. He served in that capacity for about three years until he took a position with ERDAS, Inc. Later, when CALMIT had an opportunity to gain new space, it was Donn who drew up the plans for construction. In 1989, Jim Merchant moved from Kansas to Nebraska to accept a position as CALMIT's Associate Director. The addition of Dr. Merchant to the "CALMIT team" greatly enhanced and broadened the scope of Center activities. His research focused on land-cover mapping with coarse-resolution satellite data, while Dr. Rundquist's was oriented toward water resources, especially using hyperspectral instruments at close-range. In 1990, CALMIT moved to new, much larger quarters in W205 of Nebraska Hall. The facilities were constructed with the considerable assistance of University of Nebraska–Lincoln Chancellor, Dr. Martin Massengale. The space, allocated to CALMIT by Massengale, is a former "study hall" of the Engineering Library. An office addition was constructed at CALMIT in 1994, with a training facility added in 1996 with the assistance of Dr. Perry Wigley, Director of Conservation and Survey, and IANR Vice-Chancellor Irv Omtvedt. Facilities Managers supervising activities in the new space included Chris Keithley (1991-1994), Jim Lacy (1995-2002), Jeff Arnold (2002-2003), and Chad Boshart (2004-present). About 1989, CALMIT was given a portion of land at the Agricultural Research and Development Center, near Mead, to develop a research site for close-range remote sensing projects. The site has grown considerably over the years, and faculty and students remain active in collecting spectroradiometer data over both "tank mesocosms" and wetland-vegetation canopies. In 1995, an indoor close-range facility was also developed on the Lincoln campus. When Don Rundquist left the directorship in 2008, Jim Merchant became CALMIT's director, and remained as director until 2011. Brian Wardlow took the reigns in 2012, and is the current director of CALMIT. A few University of Nebraska–Lincoln professors were involved in remote sensing research before 1990, but were not directly affiliated with NRSC and/or CALMIT. Examples include microwave theoretician Dr. Ezekial Bahar (Electrical Engineering), and laser expert Dr. Dennis Alexander (Mechanical Engineering). After 1990, several other University of Nebraska–Lincoln departments became actively involved in remote sensing by hiring faculty with expertise in that area. Examples include Electrical Engineering (Drs. Ram Narayanan and Karen St. Germain), Geography (Drs. Fernando Echevarria and Sunil Naramulani), and Computer Science (Dr. Steve Reichenbach). Today, University of Nebraska–Lincoln has a large number of faculty with remote sensing expertise.